We offer professionally managed and thoughtfully designed units in Seattle’s most interesting locales. Our units feature locally curated art in our live-in galleries, amenity kits, fresh roasted coffee, teas, smart TVs and our Vioure Neighborhood Guide. You can expect more from us. We are the new standard. Packing for a trip shouldn’t be hard. Why not stay with us, where all you have to remember is something to wear. We stock much more than soap and conditioner so that you don’t have to pack your entire bathroom when you travel. From hair tools to earplugs to a sewing kit, we’ve probably stocked it. Elena discovered Airbnb through her love of travel and immediately saw an opportunity in the emerging market. Through her years in property management Elena has created strong ties with local developers and building owners allowing her to curate unique spaces that serve discerning business and vacation travelers. 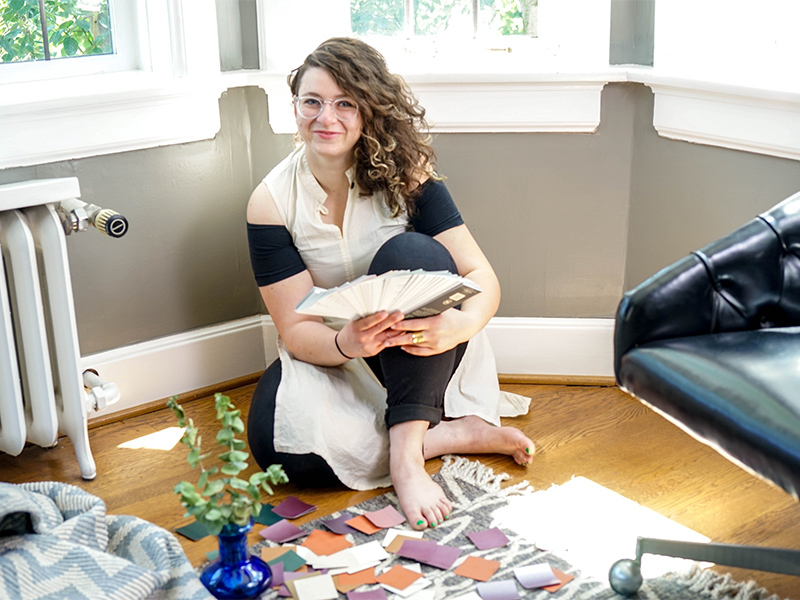 Hannah is an Interior Designer, Home Stager and Color Consultant. She views rooms as art that you move through and live in - everyday. Eco-design and permaculture play a large role in her design life, as does a small obsession with shipping container building, and a large obsession with the tiny house movement. Shaina loves structure and organizing chaos. That is why she loves being central command for Vioure. With years of Administrative and Property Management experience she is instrumental in ensuring sustainable infrastructure as Vioure grows. Claire has long been nerdily passionate about organization and information. With a Master’s degree in Library & Information Science, and years of house cleaning experience, she approaches quality control for Vioure with vim and vigor.